MONTREAL, November 14, 2018 – Advances in technology have streamlined finance and accounting functions in recent years, but the industry faces a potential gold mine of opportunities by tapping into the power of data analytics. Data is abundant and it’s everywhere. In fact, statistics show that the volume of data, both structured and unstructured, is growing significantly, with some estimates that it’ll double every two years until 2020. For the auditing profession, this means there’s tremendous opportunity to unlock more value for clients by using big data to uncover meaningful insights. This also means the traditional audit as we know it is obsolete, and that there’s an immediate need for a technology-enabled audit profession, with digital strategy and operations at its core. There are many upsides to digital audits — they can extract large data sets, provide richer insights about processes and financial information, and can create more accountability, professional skepticism and transparency to the entire audit function. And, ultimately, they allow firms to keep pace with technological innovations and market demand, while freeing up more time for auditors to focus on value-added and insight-driven tasks. Clients have come to expect a higher quality audit that underscores business risks, performance and opportunities — if you’re not delivering it, you’re not providing lasting relevance or value. Zahid Fazal, CPA, CA, assurance data analytics leader, EY Canada. To unlock deeper insights, it’s critical to invest in data capture tools. 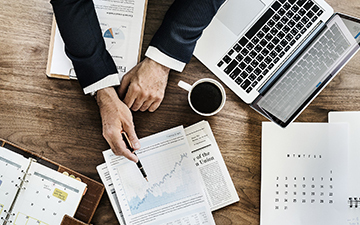 General ledger analyzers, for example, are especially powerful — they allow you to examine and analyze ledger journals, without any restrictions to data size, which enhances audit planning and scoping. In addition, the analyzers provide a more robust understanding of the business (through process mining, highlighting key trends and data visualization) and better overall audit performance. Auditors can also use other tools to target specific accounts — for instance, inventory analyzers, which help provide a clearer understanding of inventory levels and new items; trade payables analyzers, which uncover auditing trade payables and related expenses; revenue and trade receivables analyzers, which collect and perform detailed correlations between revenue and receivables activity and cash receipts; and more. Data analytics tools are helpful because they extract the data and provide real-time, actionable insights by pulling out key trends, correlations, and anomalies, at a much more accelerated pace than doing so manually. But the truly valuable process begins after the auditor receives the full extraction. They’re then able to apply their knowledge, problem solving skills and expertise to evaluate the data and its implications to the audit, shifting from what could go wrong to what has gone wrong to identify strategic opportunities as well as risks that should be addressed. From there, the auditor can present the findings in a way that’s visual and easy to understand for the average market participant. It’s through the unique blend of data capture and first-hand insight that the audit really comes to life and can address the entire operating cycle of a business, from risk assessment through execution. So technology is empowering auditors, rather than replacing them — all for the benefit of the client. And as digital processes become an ever greater part of audits, auditors must be trained and equipped with more technology competencies as well. Adapting to innovation will provide them with a competitive edge and the skills needed to quickly and effectively analyze large amounts of data, interpret it and present it in an insightful way. The audit profession has come a long way in analytics in a relatively short span of time. As we move into the next phase of digital transformation, companies should consistently be asking themselves: How digital is my audit? From technology platforms to analytics tools, and newer technologies such as artificial intelligence, robotics and blockchain, the opportunity is tremendous. Our industry must adapt and adopt these technologies if we are to deliver audit excellence over the long-term. 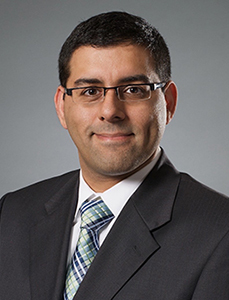 Zahid Fazal, CPA, CA, is EY Canada’s assurance data analytics leader. He is based in Montreal. For more insight, visit EY Assurance Services.